SPONSORED CONTENT – When most of us think about movies and television, we’re often drawn to the bright lights of Hollywood, but what about Canada? British Columbia’s ever-growing film industry is a key generator of employment, innovation and economic growth, supporting over 25,000 jobs, and serving as a cornerstone of BC’s creative economy, generating millions of dollars annually. 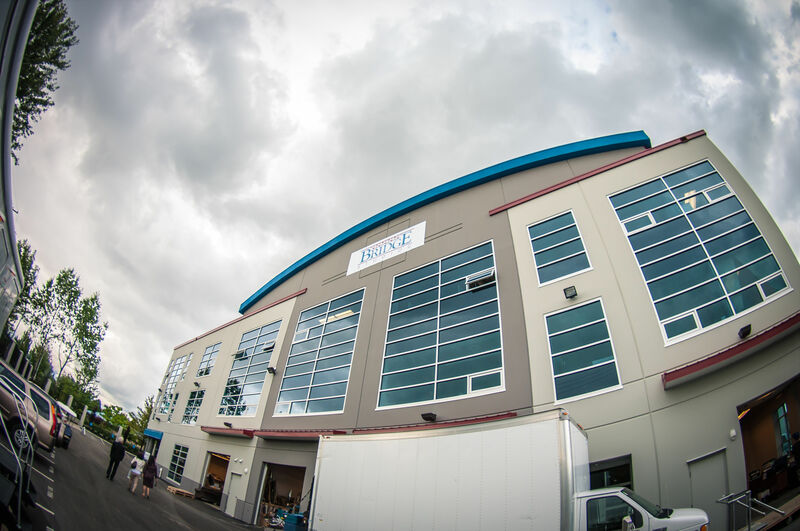 One company leading the charge is Bridge Studios, a full-service motion picture and television production studio facility nestled in beautiful Burnaby, BC. The facility consists of seven stages, support and office space and one of North America’s largest effect stages. Bridge Studios’ credits include Disney’s Tron 2, Final Destination 5 and Underworld: Awakening. 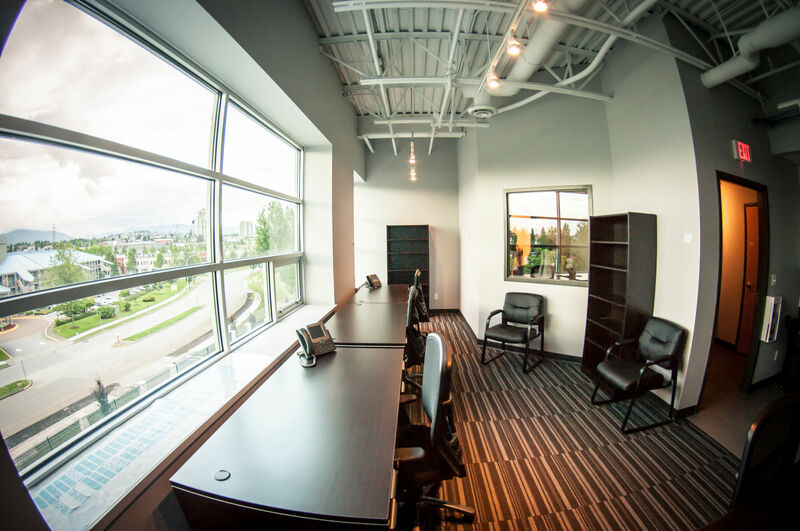 Its state of the art facilities, vast experience and impressive list of productions have helped propel Bridge Studios to the top of Canada’s entertainment industry. Bridge Studios is constantly expanding its resources and updating its technology to remain innovative and on the cutting edge. 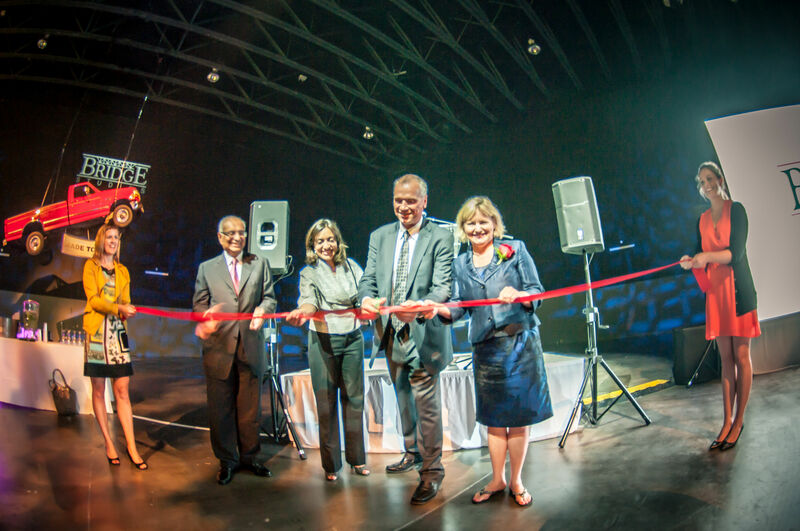 Last month, Bridge Studios invited production staff, local politicians, industry professionals and representatives from the local BC film industry to a ribbon cutting ceremony that unveiled the newest addition to the facility, Sound Stage 7. Offering an additional 18,000 square feet of production area, Sound Stage 7 also provides 3,000 square feet of office and support space. Why are we telling you about Bridge Studios’ new sound stage? Well, apart from being massive television and movie fans, Cisco recently worked with Bridge Studios on a complete network infrastructure overhaul and we’re excited to share how these film experts are using our technology! During the event, Bridge Studios showed off the capabilities of the new sound stage by hanging a full-sized one-tonne pick-up truck from the ceiling (see photo above). They also highlighted their new pervasive wireless throughout the facility as they led visitors on a tour through the sound stage, offices, boardrooms and technology rooms, many of which also featured a wide-array of Cisco collaboration technology. Check out our Q&A blog with Bridge Studios’ IT Manager, Div Lavingia, to learn more about Bridge Studios and how employees and customers are benefiting from the new Sound Stage 7 and new network.